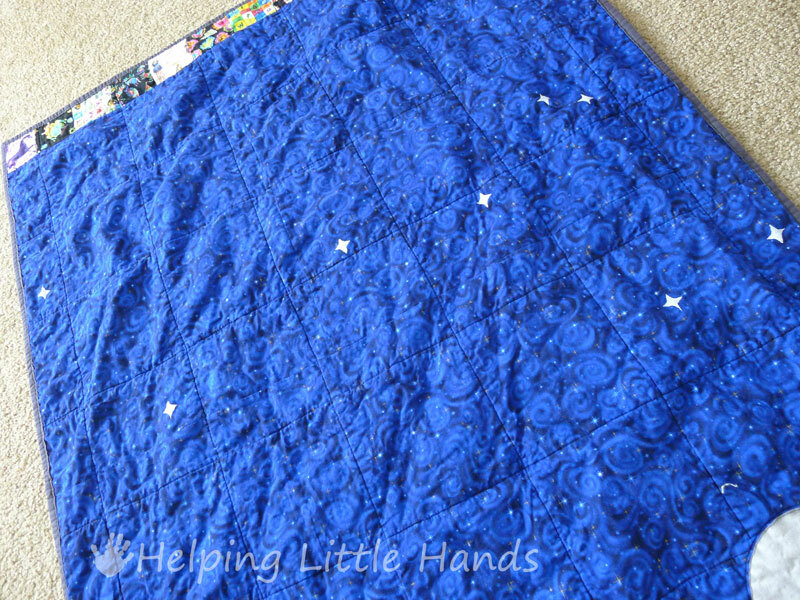 I was just about ready to mail off the unicorn I-Spy Quilt to my brother's new baby, when Eric (my husband) pulled out his star chart to have a look at the night sky and casually mentioned there is a unicorn constellation named Monoceros. Uhhhh...what?!? You didn't mention this before? 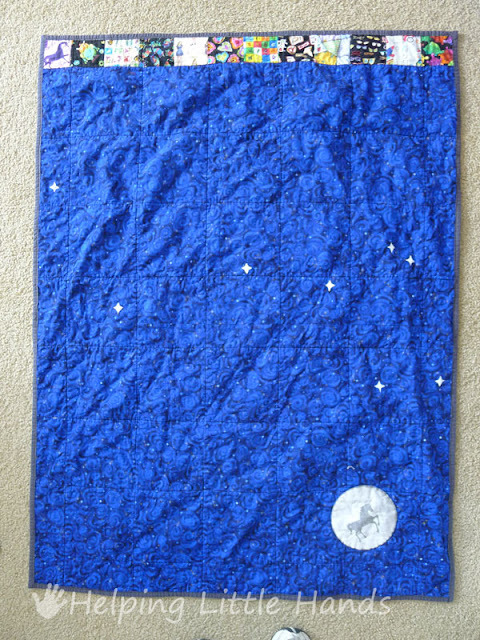 I'd been thinking the back of the quilt looked a little blah. 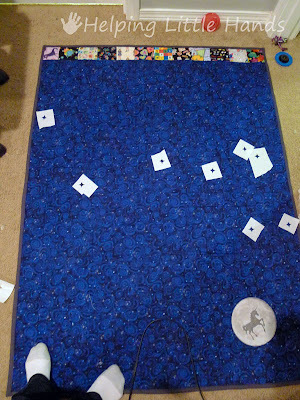 (Now mind you, I usually make my quilt backs totally plain fabric, so using the night sky fabric was already a little fancy for me...but with the row of I-Spys and the moon there seemed to be a lot of empty space. 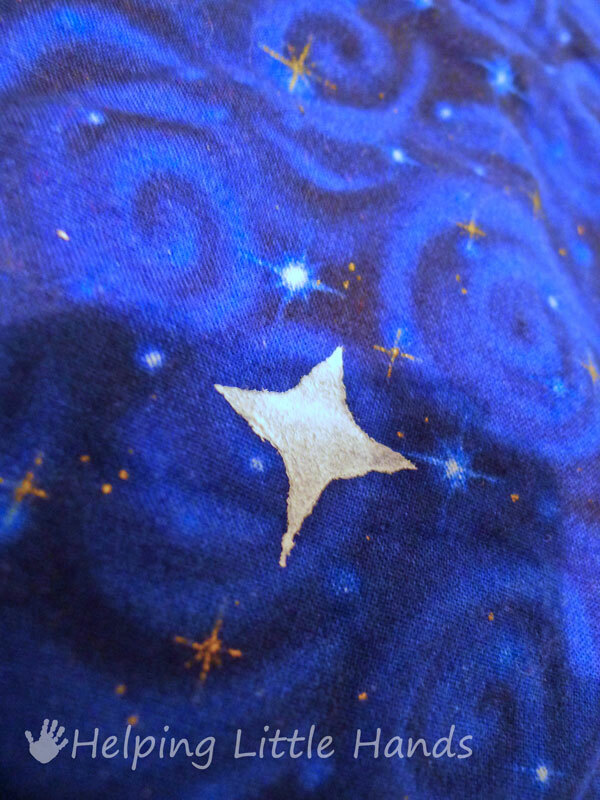 So I decided to add one last unicorn to the quilt in the form of stars. I used the same stars (click here for pattern) that I used for making Eric and Anson's Big and Little Dipper Costumes at Halloween. (Those stars had in turn been inspired by the stars on the Constellation Jewelry at Boutique Academia.) I cut them out of freezer paper. Ironed them in place. Filled them in with some white fabric paint and was done. It probably took me about 15 minutes. 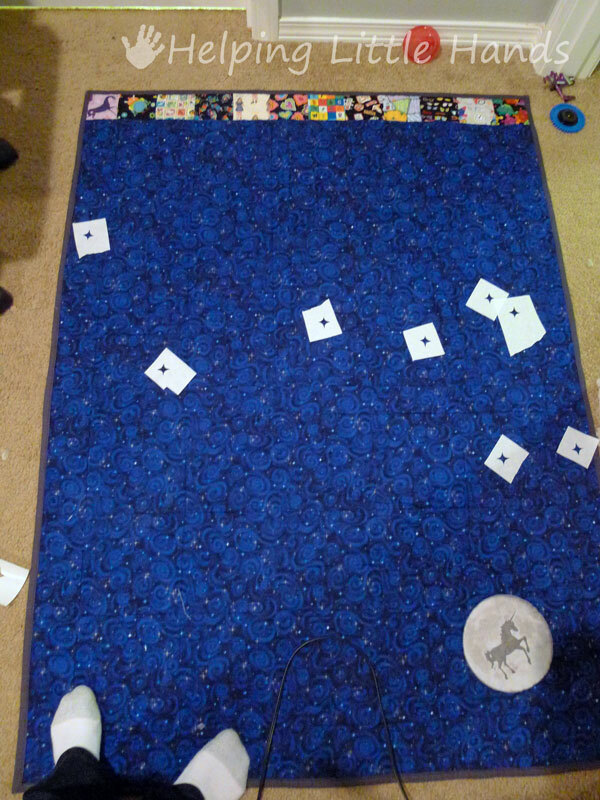 I think that brings the total number of unicorns on this quilt to 8. 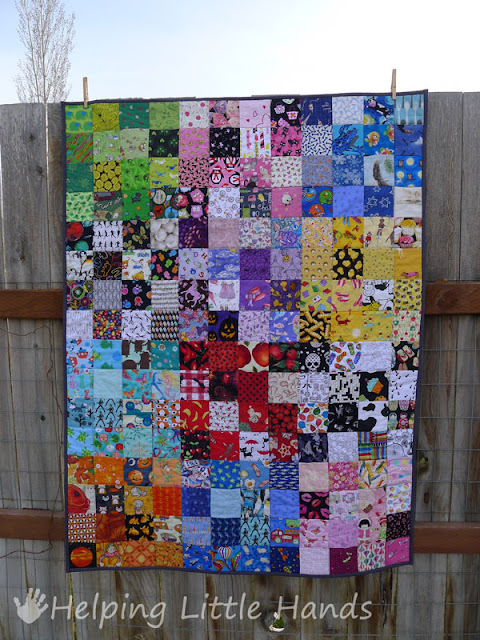 Now if I could just find the packing tape to seal up the box, this quilt would be on it's way. That is VERY cool. 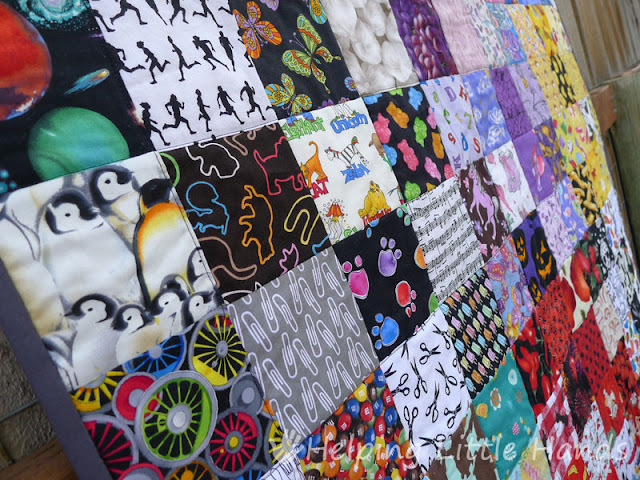 This is such a special quilt. 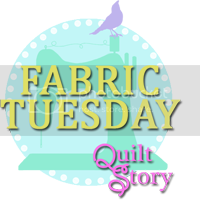 Can't wait to see the quilt AND Avalon! I love the addition of the constellation unicorn! So much fun! And I can never find the packing tape either, which is weird because I know I just bought a 4 pack, haha. And that makes me laugh about the packing tape. My kids always run off with my tape gun. Can't find it to save my life! Good luck!